Try to think back to the start of The Terminator. Kyle Reese appears and makes his way through a shopping mall trying to find clothes, all whilst avoiding the police. Arnie has already turned up and murdered Bill Paxton and is on his way to find Sarah Connor. Now imagine that the police that Kyle is running from is a Terminator and that another Arnie has gone back, murdered the first Terminator, and bought Sarah Connor up as his child. Together the three must now try to stop Judgement Day once and for all and deal battle with a new T-1000. This could be on a par with Terminator 2: Judgement Day. 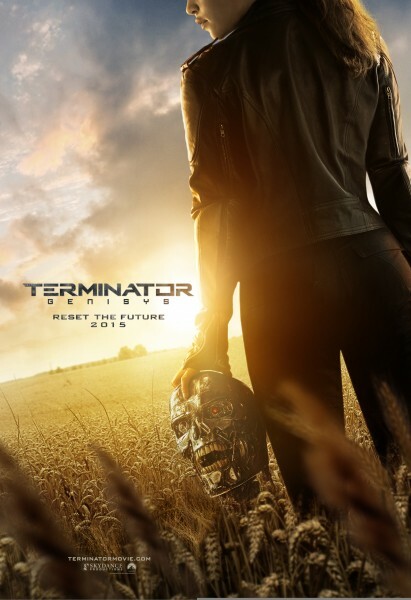 Directed by Alan Taylor (Thor: The Dark World), Terminator Genisys will see Arnold Schwarzenegger pair up with Emilia Clarke (Sarah Connor) and Jai Courtney (Kyle Reese). The film will also star Jason Clarke as John Connor and J.K. Simmons in a yet to be named role. The film is due for a UK release on 3rd July 2015. Tagged Apocalypse, Preview, Review, Sequel. Bookmark the permalink.